Remember Double A, the lounge below Mercadito? 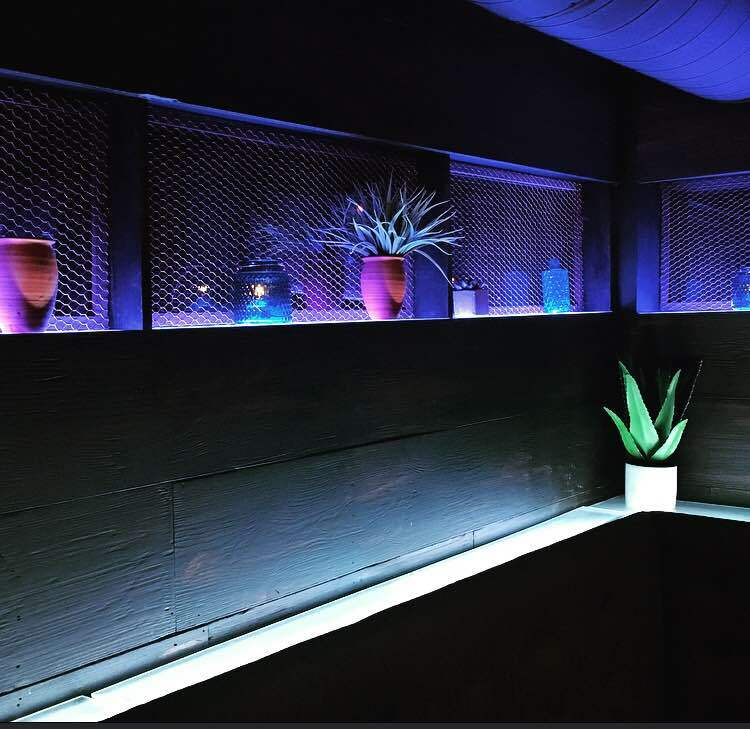 Well, it’s been revamped and has recently opened up as the new LA MEZ AGAVE LOUNGE! 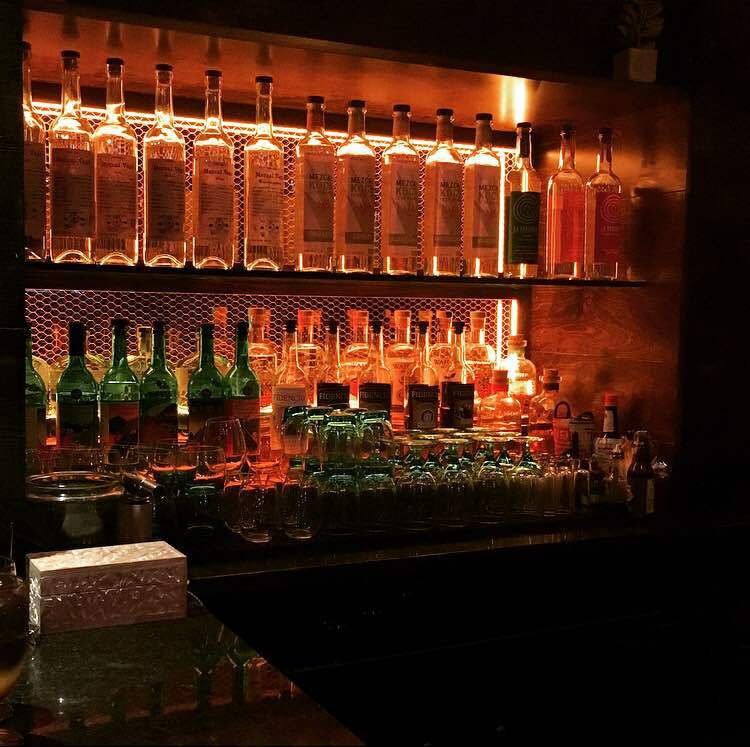 It’s a great space, and the layout is perfect for sipping mezcal and tequila cocktails. 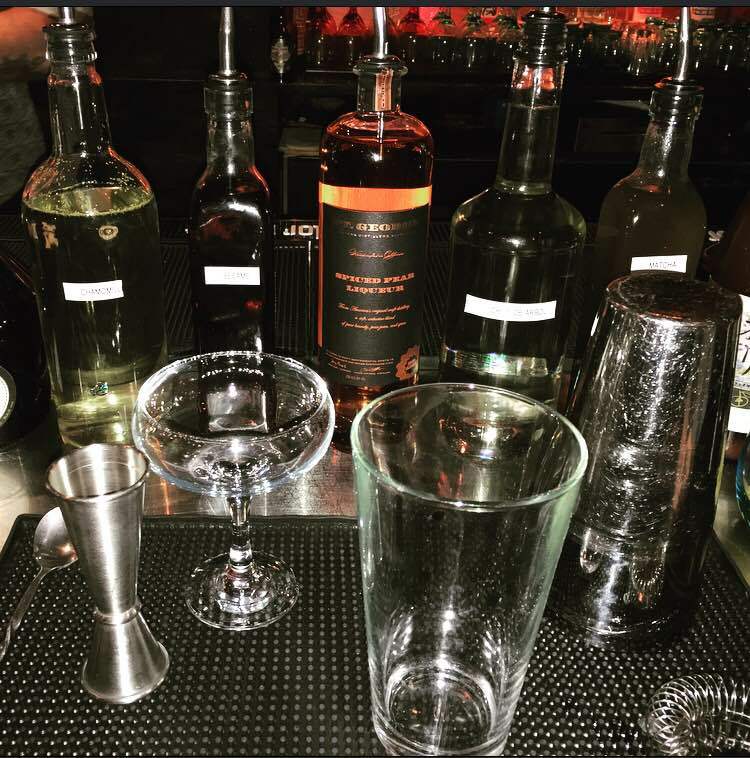 Last week we attended a Mixology Class at La Mez, hosted and led by head mixologist Dylan Stewart. Dylan welcomed us to the new space, and walked us through the cocktail menu that he’s created using lots of house-made syrups and authentic ingredients. Of course, mezcal is the focus of most of the cocktails, so the three cocktails we learned to mix with Dylan were all mezcal-based. Also, these were created especially for our mixology class, so they’re not on the regular menu (for now). Now, let’s just rewind to Cochon555 2013, where I first tasted mezcal.. and did not like it. I thought it was too smoky and almost like bbq tequila. 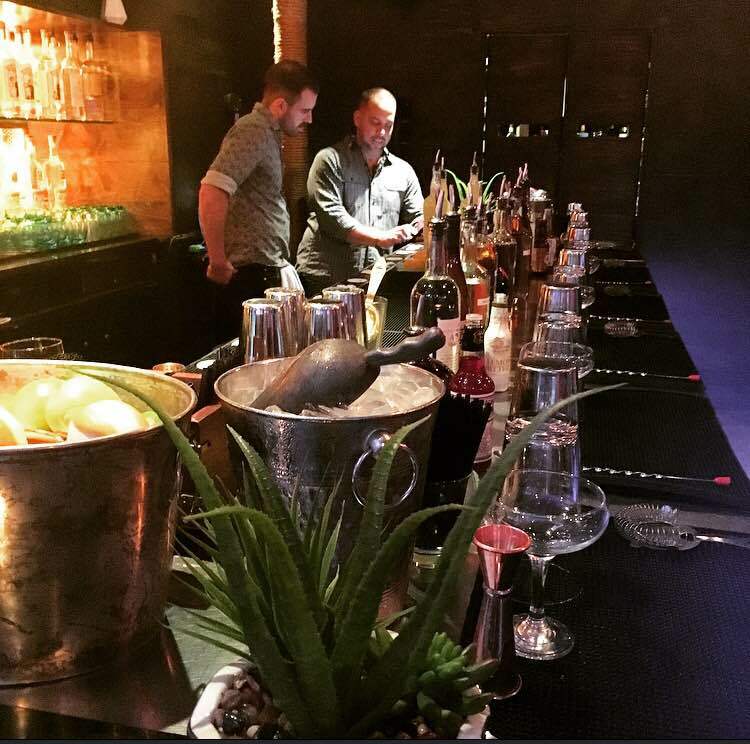 Dylan’s mixology class definitely changed my thoughts on it! The mezcal was paired with perfect mixers and other alcohols, and the smokiness just accented each cocktail mildly and perfectly. Combine all ingredients in a stirring glass. Stir 33 times. Stair into a coupe. Express lemon peel on top of the drink. Combine all ingredients in a shaker. 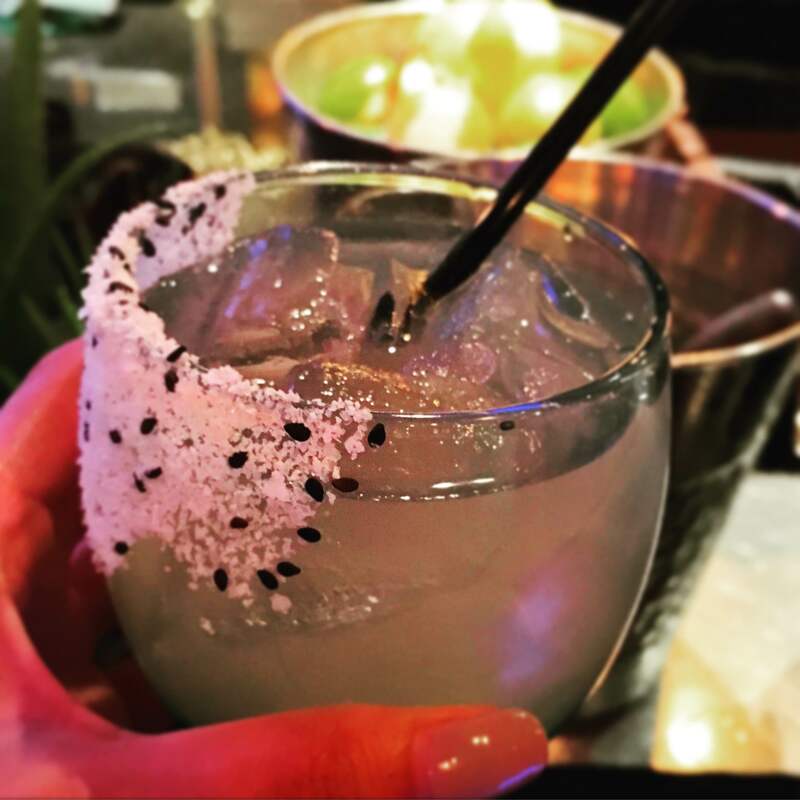 Shake, pour over fresh ice in a glass with the black sesame seed salt rim. Combine all ingredients in a shaker. 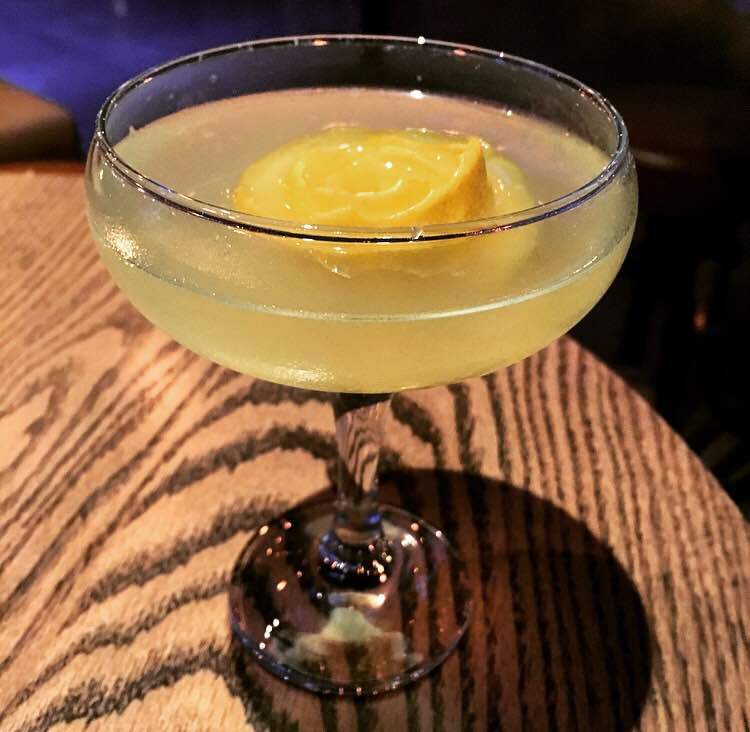 Shake, strain into a coupe glass and garnish with a lemon bud. * To make the lemon bud, use a citrus peeler to peel theentire skin of the lemon. Twist the peel into the shape of a rose bud, and skewer. When you are ready to garnish, remove the skewer and place the “bud” in the center of the glass. As you drink the “bud” should bloom. In a large cooking pot, add 250 g of sugar, 250g of water, 0.5 oz Magi (mexican soy sauce) and bring to a rolling boil. While the sugar, water and magi are coming to a boil toast 20 g of unhulled sesame seeds (you can either roast them in an over by turning the broiler on to low heat and broiling for approximately 2 minutes or; using a brulee torch, torch the seeds until just past golden brown). Once the water, sugar, and magi have reached a rolling boil add sesame seeds and reduce heat to simmer. Let simmer for 20 minutes. In a large container, strain out the sesame seeds and allow adequate time to chill. In a large cooking pot combine 250 g water and 250 g sugar and bring to a boil. Once boiling add 100g of matcha powder (you can buy it at any tea store or whole foods type grocery store). Reduce heat and let simmer for twenty minutes. Strain into a large container and allow adequate time to chill. You will probably have to strain the matcha several times through a fine mesh strainer to remove all of the matcha particulate. In between mixing the cocktails with Dylan, we were served some pretty yummy snacks as you can imagine. I LOVE Mercadito and probably go at least once a week, so I’m all about those tacos! 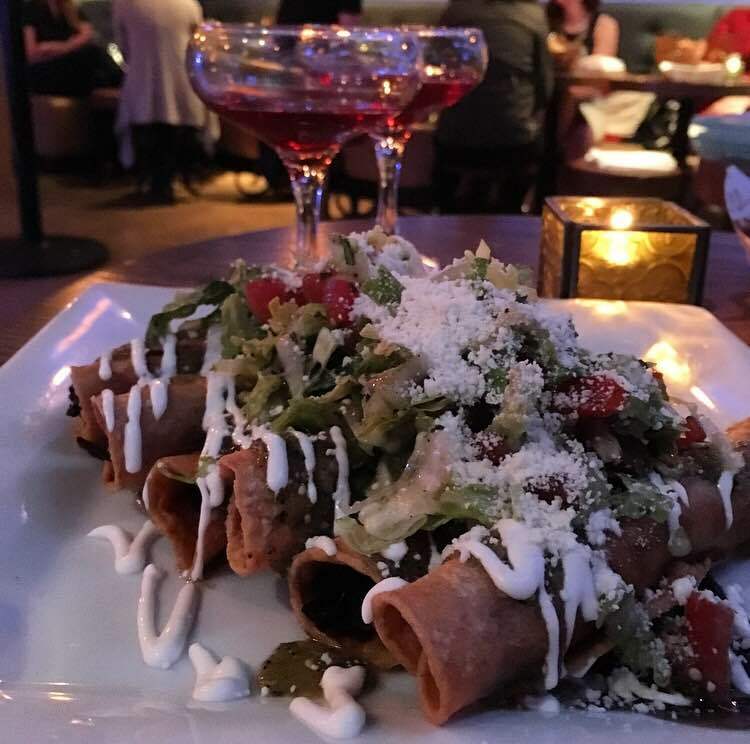 If you haven’t been to Mercadito in a while, make a reso, enjoy a delicious dinner… and then get after-dinner cocktails downstairs at La Mez. It’s a perfect date night and night with some friends!